When a child is critically ill it is essential that they are constantly surrounded by the love and support of their family. For over 14 years the Ronald McDonald House beside Crumlin Hospital has helped provide that support by keeping families close and together. Today as work begins on the New Children’s Hospital, RMHC have the unique opportunity to build a new home for all the families of Ireland’s most seriously ill children – a home that will touch the lives of thousands of seriously ill children and their families for generations to come. The new Ronald McDonald House will be a vital home for families from every county and every town in Ireland. With 53 bedrooms spread out over four floors and numerous specially designed family, rest and play areas the new House will provide families with the highest standard of accommodation in the most loving and intimate surroundings. The House will provide direct, immediate and easy access to the Hospital. The House will have 53 fully equipped bedrooms which can cater for families of every size. The House will have intimate living areas to protect the privacy of family life. The House will have play areas and recreation rooms for children of all ages. The House will have a direct phone line to the Hospital in every bedroom. Extensive research has proven that a stay in a Ronald McDonald House has an enormous impact on a family caring for a critically ill child in hospital. 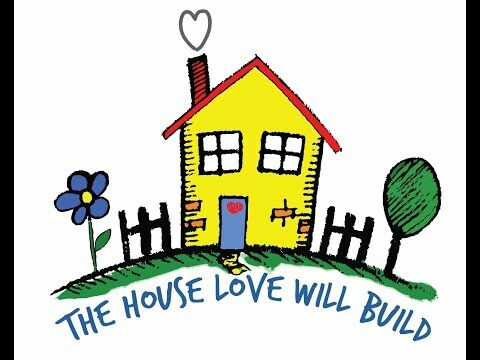 The house helps to: Reduce Stress, remove financial worries, increase the quality of life, provide unique solidarity and support and improve family coping skills. The New Children’s Hospital is the most significant capital investment project ever undertaken in Healthcare in Ireland. The Ronald McDonald House will be an integral part of the New Hospital. You can make this New House a reality by Sponsoring a Room or by offering a Service or a Product. The costs are estimated to be in the region of €17 million. We still need to raise approximately €10 million. Example of available Room Sponsorship: Reception: €500,00 Main Kitchen: €200,000 | Family Kitchen: €100,000 | Teenage Room: €75,000 | Infant Room: €55,000 | Garden Paving Stones: €15,000. We also welcome In-Kind donations, Products, and Services. Please click here to see the full list of available Rooms and In-Kind requirements. New House Sponsorship Opportunities Dec 2018 and please watch our Video below. You will receive your name on your room, a commemorative plaque of your own and the deep appreciation of our families. Most importantly you will have the deep and profound satisfaction of knowing that your gift will provide the most essential support to the families of the most critically ill children for generations to come. Your vision and compassion can help build a home that will touch the lives of thousands of critically ill children and their families for many years to come. Please download our Case for Support here.